SUMMARY: Nightmare bridesmaids’ dresses, tasteless fondant icing, budget-busting wedding expenses—some women just aren’t about it. They’ll laugh off tradition, make their own rules—and find the most outrageous ways possible to flip wedding day lockstep into true love. She’s done, finished, had it. 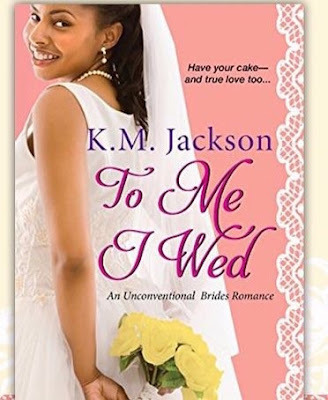 Between her family’s expectations and being always-a-bridesmaid, Lily Perry is fed up with being nagged to find a husband. She’s happy with her life—and tired of being burned by “nice guys” who demand she fit their dreams. So she’s going to settle the issue once and for all: by marrying herself. And celebrated chef Vincent Caro’s fabulous restaurant is the perfect place for a big-time, blow-out, not-hearing-it-any-more wedding. Lily doesn’t care if everyone—including Vincent—thinks she’s crazy. Especially when his mouth-watering talent and no-commitments style ignites one sizzling, no-strings fling, or two…or more.